If you collapse this bubble using sound waves you'll see an intense burst of light. But why?? It’s called sonoluminescence. “Sono” meaning sound and “luminescence” meaning, well you know what luminescence means. It’s a strikingly beautiful phenomenon where sound waves are beamed into a liquid, creating bubbles and then rapidly collapsing them. But here’s the rub: no-one knows where the light is coming from. Oh, there are theories, but even under intense scrutiny, no-one has been able to figure out the mechanism that causes the burst of light. One of the most intriguing theories – one not mentioned in the video above – is that the bubbles might be collapsing fast enough to drive temperatures to the point required for nuclear fusion. Yeah, only the same thermonuclear fusion that powers the sun. Fusion is a fickle beast. The trick with sparking off fusion is that you need to slam together two atomic nuclei with enough force to overcome their natural positive electrical charge – it’s like trying to rub together two epically strong positive magnets. There are generally two ways you can achieve this feat. The first is to increase pressure, effectively jamming the nuclei so close together that they collide and fuse. But the pressure required is astronomical – literally. It takes the inside of a star to reach that kind of crushing force. The other trick is to raise the temperature. Heat is effectively molecules in motion, and higher temperature means more motion. If you place the atoms close enough to each other, their high temperature oscillations will mean they will occasionally collide. In fact, our sun uses both intense heat and pressure to spark of the fusion that gives us our summery days and, you know, make all life possible. There are other tricks to triggering fusion in more terrestrial circumstances, like in the ITER experimental fusion reactor, but it’s not easy. In fact, ITER is so complicated that it cost more to build than the Large Hadron Collider. 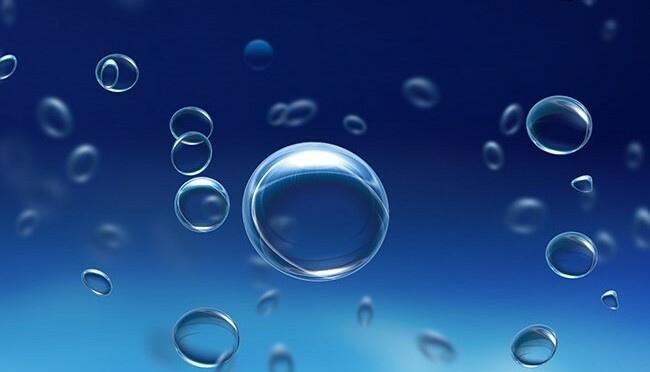 If these piddly bubbles powered by ultrasonic generators are actually triggering fusion, well that’d be something to write to the future about. Especially if there was some way to control and harness the energy generated by the reaction. Given all the speculation about sonoluminescence, it’s impossible to tell what is causing it at this stage. And the likelihood is that it’s nothing quite as stellar as fusion. But it’s still pretty staggering that such an easily generated phenomenon is both so deeply mysterious and might even have the potential to solve our energy needs. Pop!